CineMarae brings together, for the first time, a collection of artworks inspired by the kaupapa of the long-running Wairoa Māori Film Festival. The collection includes works by Natasha Keating, Tracey Tawhiao, George Nuku, Tame Iti, Charlotte Graham, Ratu Tibble, Miigizi, Assinajaq, Kereama Taepa, Johnson Witehira and Matthew Randall. For fourteen years, the Wairoa Māori Film Festival has brought together film makers and artists on the East Coast of New Zealand to support Māori film making and Māori art. Alongside the annual presentation of films, many Māori artists have supported the kaupapa of the festival through commissioned and inspired art works. CINEMARAE is the first time these works have been brought together in one exhibition. 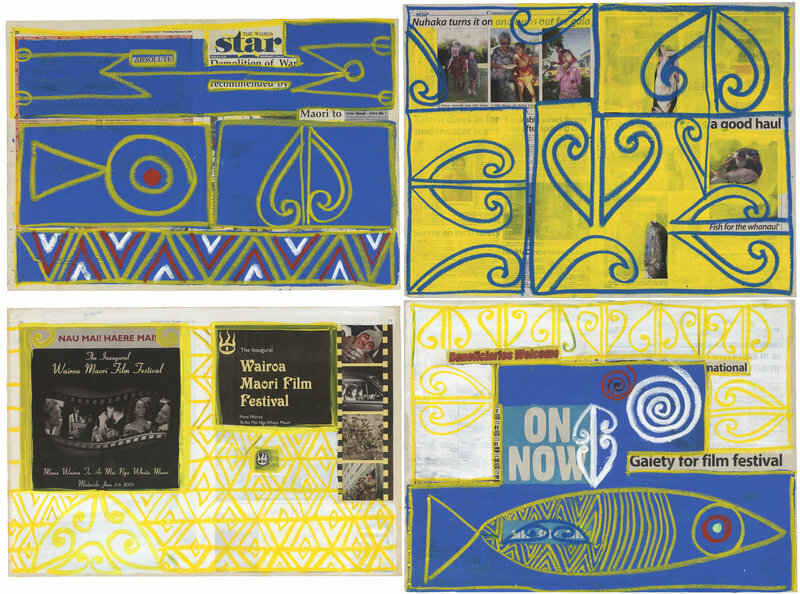 This collection commemorates an exhibition held at Taumata Gallery, Newton, in 2005 that first launched the Wairoa Māori Film Festival kaupapa in Auckland. It was held under the patronage of Dame Georgina Kirby. Moving image art works were presented as part of the film festival. Painted and printed art works have become the worldwide imaging (posters, programme and online) for the festival. Commissioned works were also gifted as trophies to award winners each year, and many works have been gifted to guests of the festival in the spirit of manaakitanga.